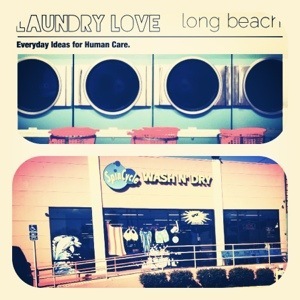 Laundry Love has been very close to my heart for the past few years. We’ve been serving the Harbor City area and making lasting friendships since 2009. If you’re unsure as to what LL is, it’s simple. You and a bunch of friends adopt a laundry mat, show up on a consistent periodic basis, provide quarters so folks can do laundry, and make friends with those you serve along the way. The beautiful thing about LL is, it isn’t meant to be a touch and go project. It’s meant to be a vehicle that builds bridges between communities and foster ongoing friendships. Needless to say, I’m excited that we’ll be launching an LL site in Long Beach at the end of April. It’s especially meaningful because it provides an opportunity for our future plant to build relationships with folks in Long Beach even before our church gets started. In other words, when does helping hurt? People can smell genuine authenticity a mile away. Be authentic in building a relationship versus trying to “save souls”, which isn’t our job anyway. As you do, people will naturally gravitate towards you because then they’ll realize “wow, I want what he/she has”… people that I serve always comment on my actions vs my words… that’s what leaves a lasting impression. All His best in your missional adventures Mr. Engoy 😉 Aloha Ke Akua! Mahalo Gideon. Yes…I couldn’t agree more. We’re not saved because of the works that we do, but by God’s grace. However, because we’re saved, works of human care, acts of kindness, and compassionate love should be the outcome of our lives. Rather than telling people they’re going to hell, we ought to show the love that God has given to us. I’ve been on both sides of the spectrum on giving and receiving. I prefer to give as most people do. I’ve always been grateful and appreciated when people have gone the extra mile to help me and my family. But the thing about it some people take advantage of others generosity in giving. Call it greed, foolishness, selfishness or just simply ignorance that its hard to understand people. And if its the govt. helping, cutting corners is the norm. It’s sad but a reality!! Dignity, values, integrity, sense of pride in family & hard work has taken a back seat. We shouldn’t get discourage even though we may get rejected by some people not wanting help, even though they need it, they (people) don’t want to seem needy!!! The mindset of people are rooted deeply that we don’t know what really are the issues in their life.. The hope is that God can break, melt, fix, change, re-birth and re-new the broken spirit from the people we help and give.. Peace bro!! Great thoughts Ricardo. Thanks for your insights.